Corsair announced a recall of its 120GB Force 3 solid state disks due to hardware and firmware issues that result in unstable operation as well as lower-than-advertised performance. Details about the recall can be read over here. Over the past several days, we have analyzed issues associated with the stability of our recently released 120GB Force Series 3 SSD. Our review has identified that a significant percentage of these drive do not perform to specifications. The solution will require changes to both the SSD firmware and the hardware components of the SSD itself. (1) ALL users should cease using the CSSD-F120GBG3-BK drive immediately, even if you have not experienced issues of stability. (3) Return the drive to their place of purchase. Corsair is committed to product quality and we want to assure our customers that this remediation plan will be implemented at no cost to you. 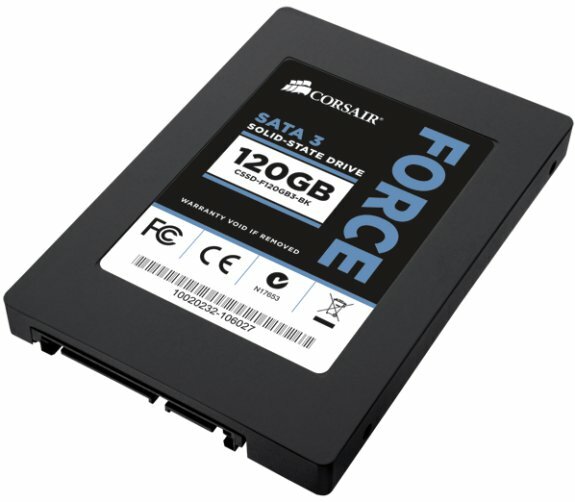 To return your Force Series 3 120GB SSD to Corsair, contact Corsair to ARRANGE YOUR REPLACEMENT . Corsair will pay for shipping your drive back to Corsair and will replace your drive free of charge. Estimated turnaround time is ten business days. NOTE: CSSD-F60GBG3-BK, CSSD-F240GBG3-BK, and Force GT are NOT affected by this issue.